Cortana is a digital assistant integrated in the Windows Phone 8 and scheduled to be fully integrated into the next Windows 10 release (mobile, PC). Microsoft is pushing the idea of Cortana as the best digital assistant in the market by ensuring that it is Personal, helpful and proactive. Having used Cortana on my for phone for months I am generally impressed and would love to see it expand into more meaningful collections of data, especially as it relates to primary and secondary search (searches based on searches). 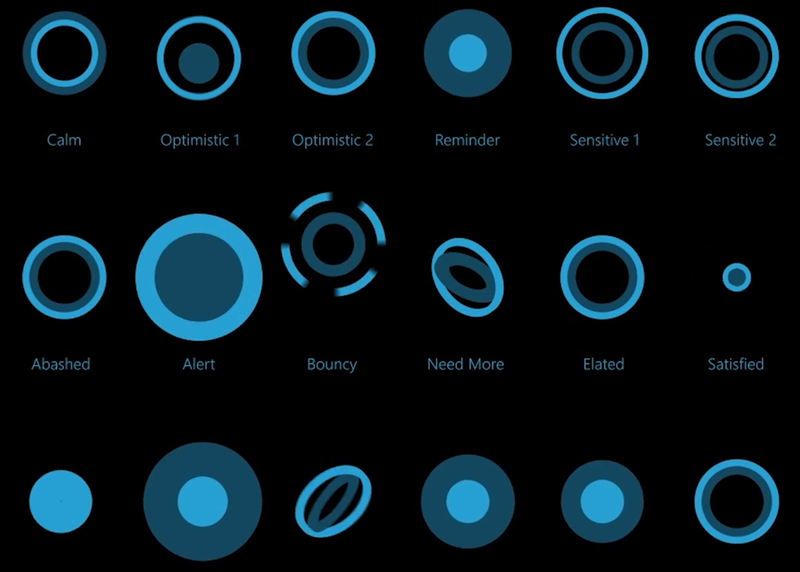 The fascinating thing about interacting with Cortana was how emotive she can actually be, while the Cortana symbol is just a simple circle the UX folks at Microsoft have worked pretty hard to ensure that it can actually connect the things it is saying, doing or waiting for, to animation on the screen. Working remotely always reminds me how important things like eye contact can be when having simple conversations, I tend to miss important cues in the voice of people I interact with. While your device obviously does not have eyes there are many ways to still show that something is actively and attentively listening to your every word. While devices with emotions sounds like a Sci-Fi horror film waiting to happen, the idea of being able to normalize non-trivial communications with electronic devices is an interesting computer science problem that I would love to see solved.